Using one of the best starts ever to a Euroleague game, CSKA Moscow thrashed visiting Eldo Napoli 82-72 in Group C on Wednesday. With the victory, CSKA kept at least a share of the Group C lead by improving to 6-1, while Napoli's record dropped to 2-6, good for seventh place. Napoli got plenty of pre-game attention in Moscow by choosing take the metro to the arena in order to avoid traffic jams in the city. The underground ride did not help as CSKA stormed to a 17-0 start and never looked back on the way to victory. Matjaz Smodis led the winners with 18 points. 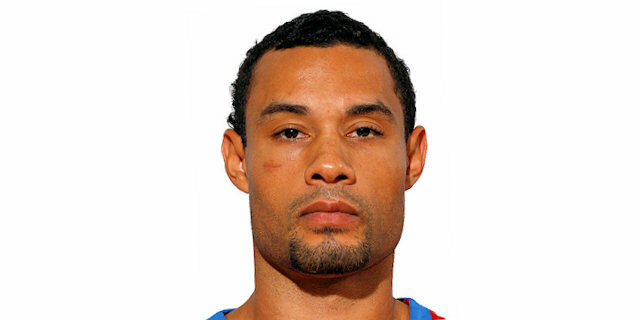 David Vanterpool added 12 and Trajan Langdon 11 for CSKA, which outrebounded Napoli by double, 36-18. Tyrone Ellis had 15 points for Napoli, Michel Morandais 14, Mason Rocca 13 and Ansu Sesay 10. Langdon opened the scoring with free throws, as Napoli started the game with a small lineup featuring Michel Morandais at power forward. David Vanterpool added a driving layup while Matjaz Smodis buried a three-pointer for a quick 7-0 CSKA lead. Napoli called timeout, but a three-point play by Aleksey Savrasenko gave CSKA its first double digit lead, 10-0. The guests simply struggled at both ends, while Vanterpool scored in the low post and Smodis added a fastbreak layup to make it 14-0. All told, Napoli went scoreless through the opening 7 minutes, while Holden capped a 17-0 CSKA start with another fastbreak basket. Jeff Trepagnier finally stepped up with a driving layup to break the ice for the visitors, but Langdon matched that with a jumper. Holden buried a corner triple to make it a 20-point game, 22-2. Mason Rocca scored inside, but Theo Papaloukas bettered it with a layup-plus-free throw before Trepagnier and Tomas Van den Spiegel fixed the score at 28-7 after one quarter. CSKA kept rolling early in the second quarter, as David Andersen hit a short jumper. Even when Morandais shined on a three-point play, Andersen scored again for a 32-10 CSKA lead. Papaloukas buried one from downtown and even when Napoli had found its rhythm on offense, its problems persisted at the other end. Rocca scored inside, Morandais nailed a jumper and Tyrone Ellis added one from downtown to get the guests within 37-17. Anton Ponkrashov and Langdon stepped up with back-to-back layups, but a close basket by Trepagnier and free throws by Rocca made CSKA stop the game at 41-21 with a timeout. After that, Zakhar Pashutin fed Smodis for a big dunk while Ansu Sesay found his first points on free throws. Smodis scored in the low post before Pashutin buried back-to-back triples to give CSKA a 51-28 margin. A free throw by Rocca and a three-pointer by Ellis got Napoli within 53-32 at halftime, by wich time CSKA had made 21 of 30 two- and three-point shot attempts. Napoli returned after the break with an improved attitude, but CSKA kept controlling the game with outstanding defense. Meanwhile, Andersen followed a second-chance basket with a three-pointer to make it a 25-point game, 58-33. 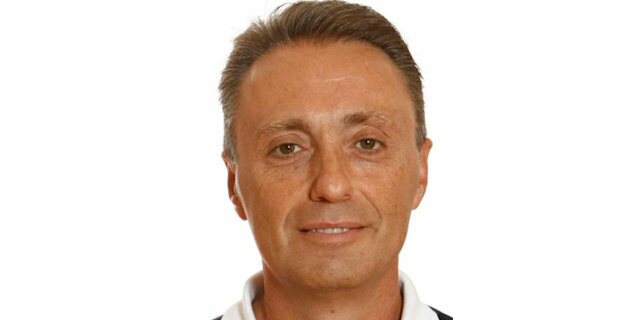 Napoli had been scoreless for more than 3 minutes of the third quarter until Morandais hit a fallaway jumper. Vanterpool shined with a driving layup and soon added free throws to give CSKA its biggest lead so far, 62-35. Morandais scored inside then followed a triple by Ellis with free throws to get Napoli within 64-42. Sesay and Trepagnier joined the three-point festival to cap a 0-11 run and bring the guests even closer, 64-48. Smodis rescued his team as the only scorer in a 7-0 response by CSKA that he capped with a three-pointer. Sesay answered from downtown, but CSKA still was in charge, 71-51 after 30 minutes. The outcome was clear now, but Rocca tried to ignite a Napoli comeback with a layup to start the final quarter. Matteo Malaventura added a three-pointer to give the guests some hope at 71-56. It didn't last long, however, as Langdon answered from downtown coming off a screen to keep CSKA rolling at 74-56. Rocca scored again but free throws by Nikita Kourbanov and Smodis let CSKA increase the margin to 78-58 with 5 minutes to go. Everything was said and done, so CSKA finally allowed some easy baskets along the way. Malaventura followed a jumper with free throws while Ellis scored three times from downtown. Even when Napoli never gave up, it was already too late, as CSKA left the court with another home win. "We started the game very well and we were OK for 15 minutes after that. The team was motivated and the players fight like lions. But after that we suddenly started to play like the lion after eating: we were not aggressive enough. This game is also an answer to the question of why I do not use much the young Russian players. They make too many mistakes and do not play smart." "From the very start, CSKA surprised us with their physical abilities and the pressure they put on us. It took us too long to recover after the bad start. Congratulations to CSKA and good luck for the future." "It's a good win. "e came out with a great first quarter, but probably let our opponents score too much in the next ones. We have two road games coming up, we have to be ready for them, so its important that we will fly to Greece in a good mood." "Another tough Euroleague win. From the beginning we played very well, especially defensively - it was a decisive moment. We understood that we couldn't let them feel confident from the first minutes. It's the type of team that gives no mercy if you let them run and shoot." "CSKA's intensity was much better than ours. They were leading from the beginning and we could do nothing with that. They are smart, physical and unselfish. They understand that it's important to play good defense. CSKA is simply the best in Europe." "Road games are difficult especially against such a great team as CSKA. It is the best team in Europe, it is the current champion of the Euroleague. It is impossible to win when you start behind by 17-0. But we also started to play well towards the end. That's the up we can build on for the next games. We win together, we lose together, so I can't praise anyone. We need to speak and play more. It will help our progress as a team."